Tradecorp is focussed on the development of efficient, top quality products, supports good agricultural practices and is committed to sustainable development and the protection of the environment. Among Tradecorp’s top priorities is compliance with the REACH regulation (EC no. 1907/2006). The objective of REACH is to reduce the impact of chemical products on the environment and on human health. Tradecorp is part of this pan European project and has been working to increase knowledge about our products and their properties. This ensures all our products are manufactured to stringent requirements and can be used with maximum safety and minimum health risk to all. Tradecorp works on the formulation, development and manufacture of environmentally friendly products. 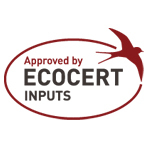 Many of our key products are verified and approved for use in Organic Agriculture by ECOCERT. In 20 05, Tradecorp obtained the ISO 9001 certification through the Norwegian entity, DNV. This certification is proof of Tradecorp’s commitment to the quality of its services and products, and to the continuous improvement of its processes, activities, products and services. Our ISO 14001 certification guarantees that, in the activities of our production plants, we prevent and minimise the environmental impact, paying special attention to the decrease of emissions, the efficient use of natural resources and the minimising of waste. Tradecorp is a participant of the United Nations Global Compact, which means Tradecorp is committed to respect and enact the 10 principles established by the Global Compact in the areas of human rights, labour rights, the environment and anti-corruption. As part of our commitment to the environment and Good Agricultural Practices, we are members of Globalgap. We are firm believers in the efficient use of raw materials, the protection of animals, the well-being of our employees and the development and implementation of production techniques that minimise the impact of all activities on the environment. One of Tradecorp’s principal objectives is to provide farmers with the best solutions for efficient agriculture: to produce more, with improved quality and with as little environmental and economic impact as possible. The way to achieve this objective is through technology and the innovation of our products. Here biostimulants play a key role. In 2011, Tradecorp and another 9 manufacturers of biostimulants collaborated to found the European Biostimulant Industry Council (EBIC). Today, EBIC counts on more than 35 member companies, and it is a point of reference for the sector and for European Institutions.